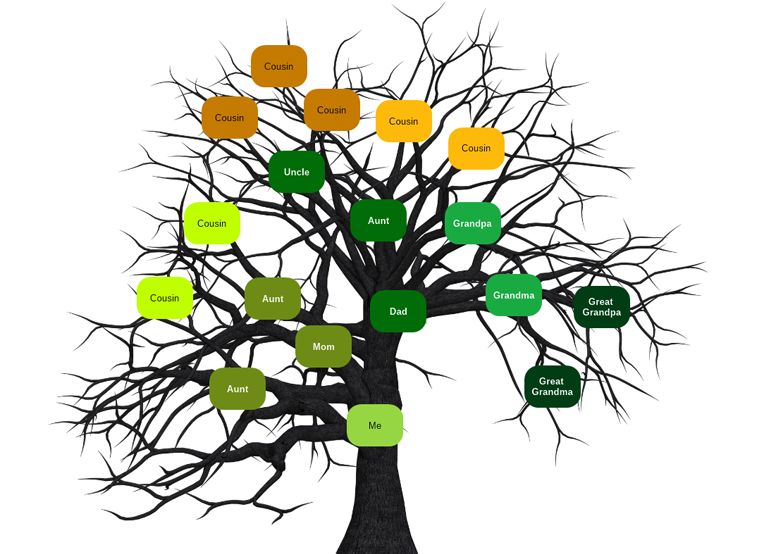 This template represents a simple family tree. Each person’s name is placed in a leaf-alike shape. With its simplicity this diagram is very suitable for visualizing a school homework task. Download this free template and edit it with Nevron Draw to meets your demans.